Scott Bond Meets Sherlock Holmes. Edited, with an introduction, by Mark Gagen. 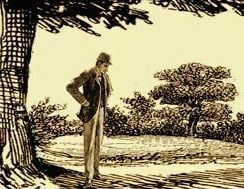 “Art in the blood is liable to take the strangest forms,” said Sherlock Holmes in “The Greek Interpreter,” and Scott Bond’s canonical cartoons and other illustrations bear this out. 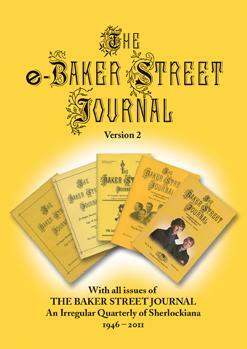 His cartoons have appeared in every issue of The Baker Street Journal for a quarter of a century, and all of these clever pieces are contained in this volume. In addition, a wide-ranging selection of Bond’s other Sherlockian illustrations is included. Each entry is introduced and placed in context by the artist. Sherlockian, publisher and graphic artist Mark Gagen’s thoughtful introduction further enhances this volume. Don’t miss this important addition to the genre of canonical art and illustration. A selection of cartoons from The Baker Street Journal. Cover designs and illustrations from the programs of BSI annual meetings. A selection of cover designs. Cartoons commissioned for various expeditions of The Sherlock Holmes Society of London and The Baker Street Irregulars. Some personal greeting card designs. Examples of art created for other publishers and projects.